The embassies in Mexico City of five ASEAN member countries – Vietnam, Indonesia, the Philippines, Malaysia and Thailand – have co-organised an event to promote the image of ASEAN countries and people. 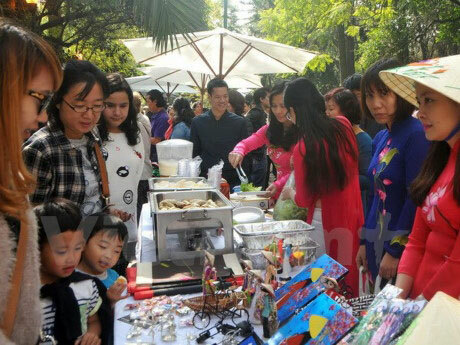 The Bazaar International 2016 of ASEAN countries at Lincoln Park on December 10 featured art performances, fashion shows, photo exhibition, handicrafts and fine art articles as well as traditional dishes, attracting big crowds of visitors. At the opening ceremony, Vietnamese Ambassador to Mexico Le Linh Lan affirmed the determination of ASEAN countries to build a strong community. She stressed that the fair creates opportunity to bolster cultural exchange and deepen understanding, friendship and cooperation between ASEAN countries and Mexico. According to the organising board, part of the fair’s proceeds will be donated to charity activities. The ASEAN (Association of South East Asian Nations) groups ten members, which are Brunei, Cambodia, Indonesia, Laos, Malaysia, Myanmar, the Philippines, Singapore, Thailand and Vietnam./.